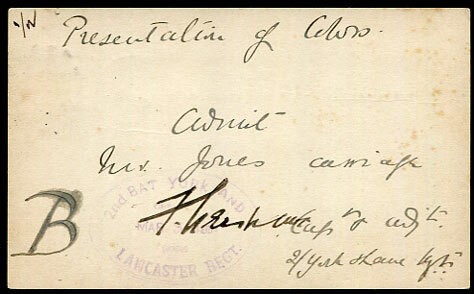 1891 ADMISSION PASS to PRESENTATION OF COLOURS by way of QV ½d Post Card pmk'd open bootheel duplex dated A/MR 5 91 signed by the Capt. 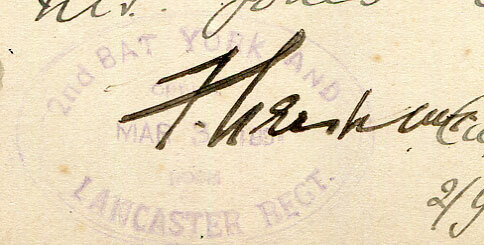 and Adjutant of the 2nd Battalion YORK and LANCASTER REGIMENT to admit Mrs. Jones carriage. 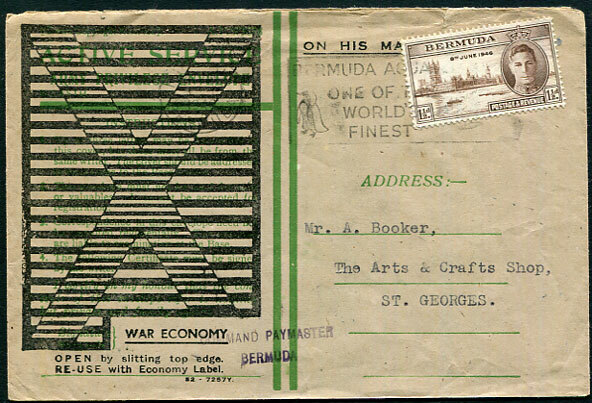 Probably unique as such. 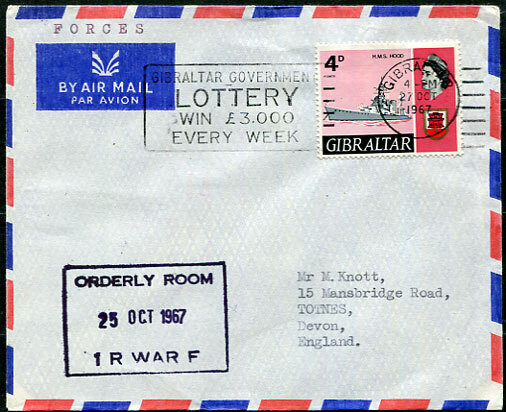 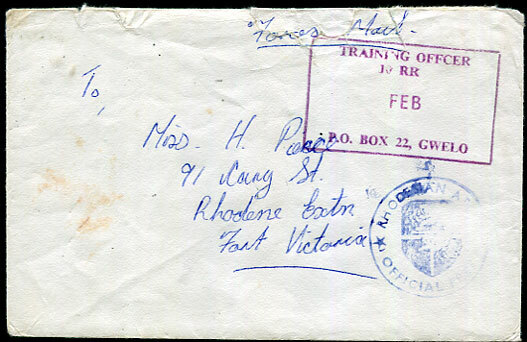 Undated stampless Forces Mail cover to Fort Victoria with boxed 10 RR, Gwelo cachet dated FEB.
1960 opened-out printed AIR MAIL envelope with both oval Royal Coat-of-Arms on flap and "CODE No. 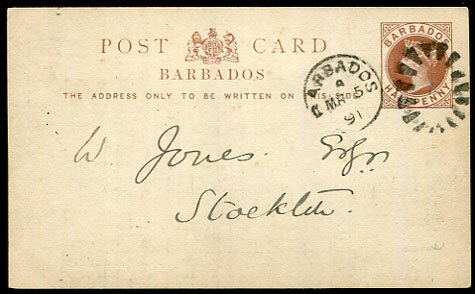 23-31." 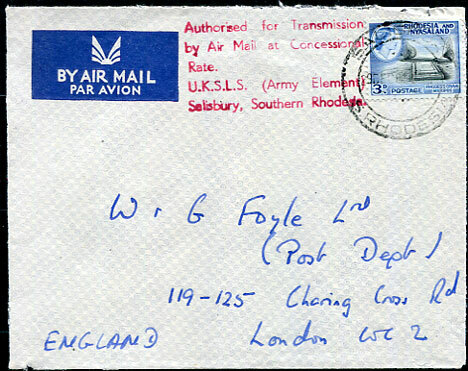 alongside to Foyles Book Shop, London with QE2 3d pmk'd Salisbury 28 DEC 60, red 5-line "Authorised for Transmission/by Air Mail at Concessional/Rate./U.K.S.L.S. 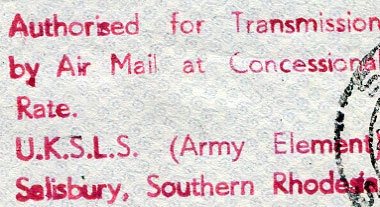 (Army Element), Salisbury, Southern Rhodesia" handstamp. 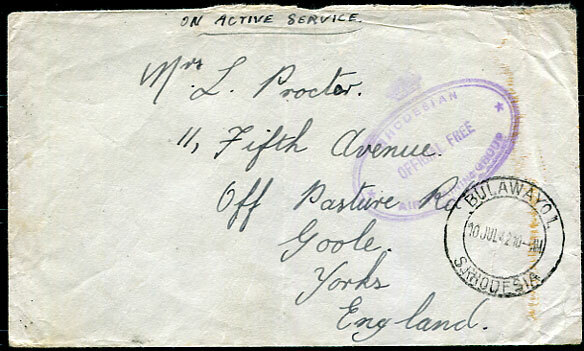 1942 stampless On Active Service cover to Goole, Yorkshire with sender address on flap pmk'd BULAWAYO 1. dated 10 JUL 42 with purple crowned RHODESIAN/OFFICIAL PAID/AIR TRAINING GROUP cachet. 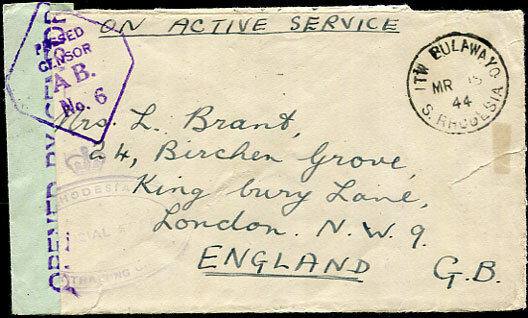 1944 stampless On Active Service cover to London with sender address on flap pmk'd ITW BULAWAYO FE 23 44 with purple OPENED BY CENSOR and crowned RHODESIA/OFFICIAL PAID/AIR TRAINING GROUP cachet. 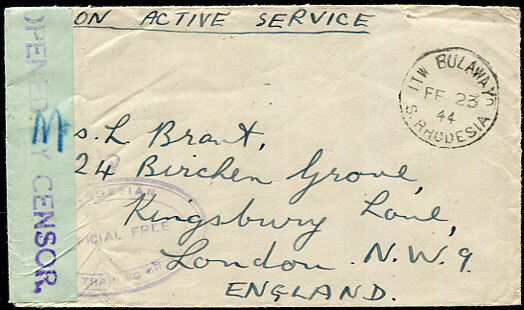 1944 stampless On Active Service cover to London with sender address on flap pmk'd ITW BULAWAYO MR 15 44 with purple PASSED/CENSOR/A B/No.6 and crowned RHODESIA/OFFICIAL PAID/AIR TRAINING GROUP cachet. 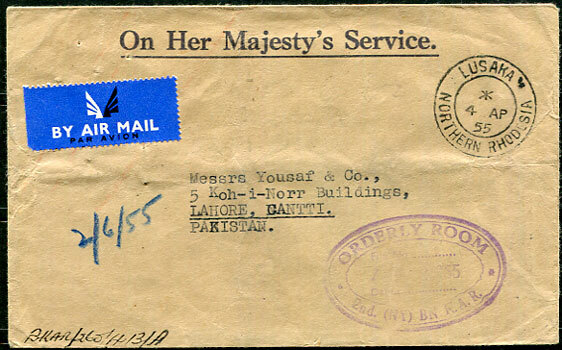 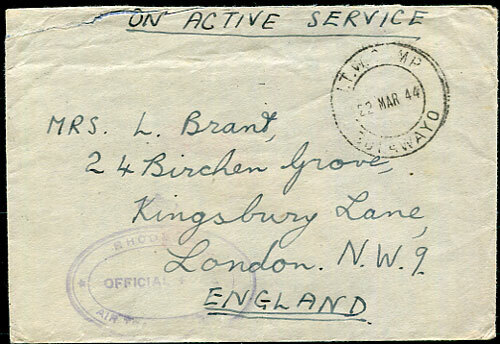 1944 stampless On Active Service cover to London with sender address on flap pmk'd I.T.W.CAMP, BULAWAYO 22 MAR 44 with purple crowned RHODESIA/OFFICIAL FREE/AIR TRAINING GROUP cachet. 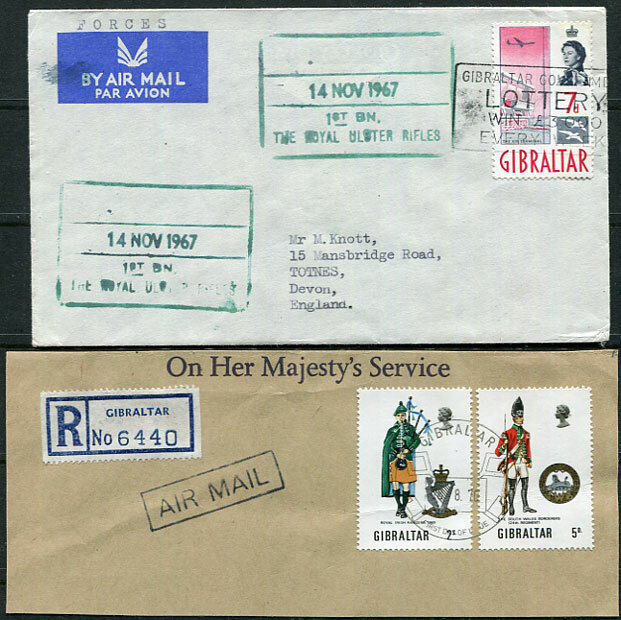 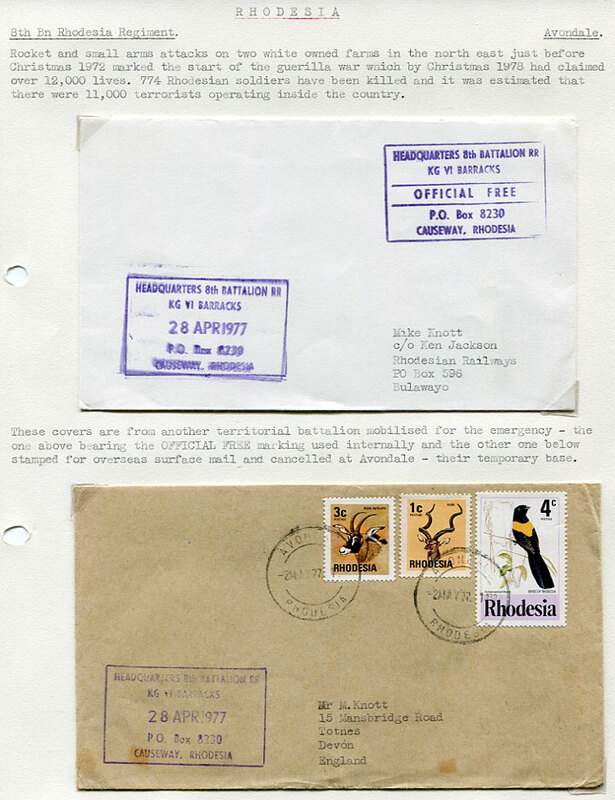 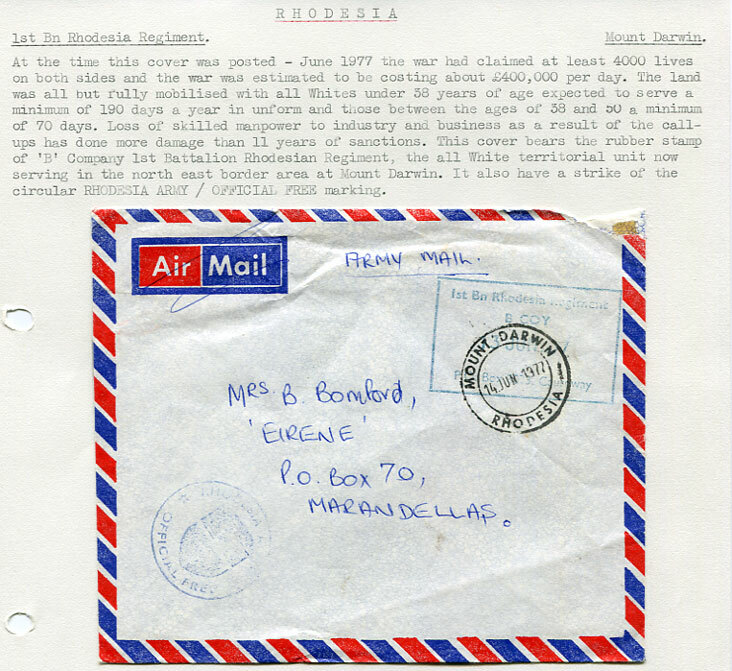 1977 covers from CAUSEWAY and AVONDALE with cachets. 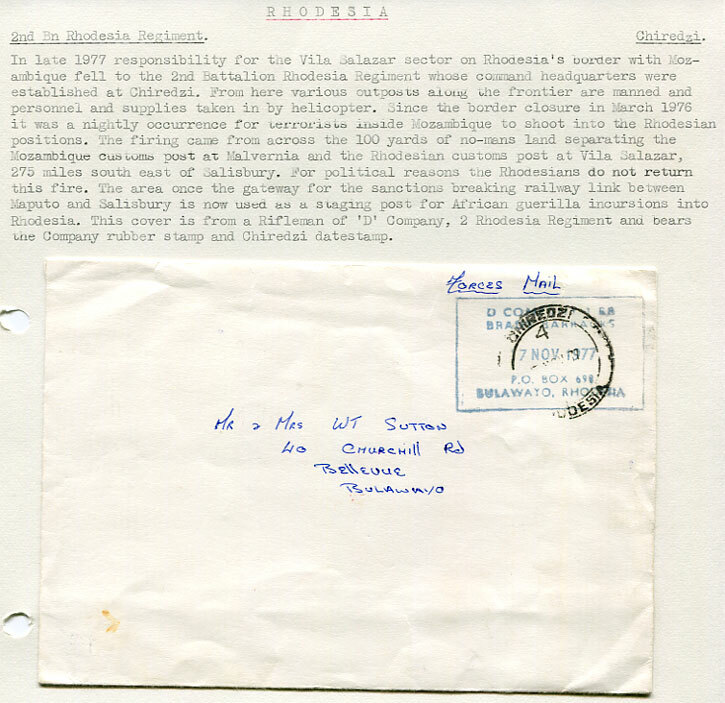 1977 cover pmk'd CHIREDZI with cachet, clearer strike on reverse. 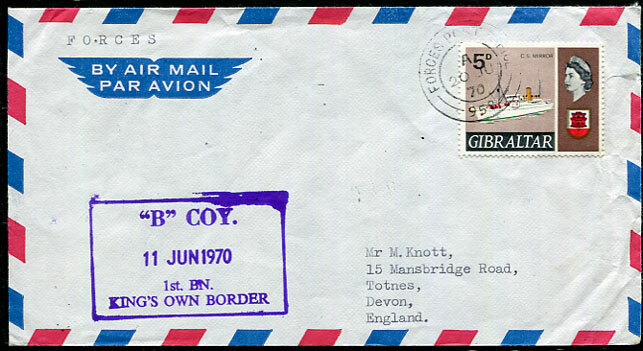 1977 cover pmk'd MOUNT DARWIN with cachet, corner fault.